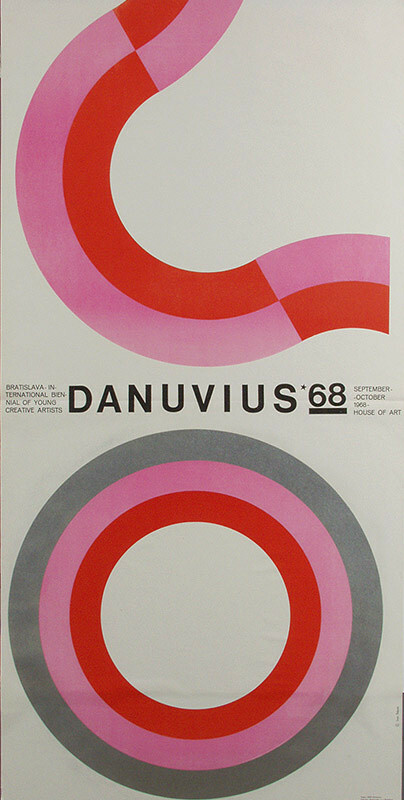 The Poster and Graphic Design Collection originated in 1962 as "promotional applied graphic art" as a result of the fact that the SNG took over the collection of posters from the Museum of Decorative Arts in Prague. 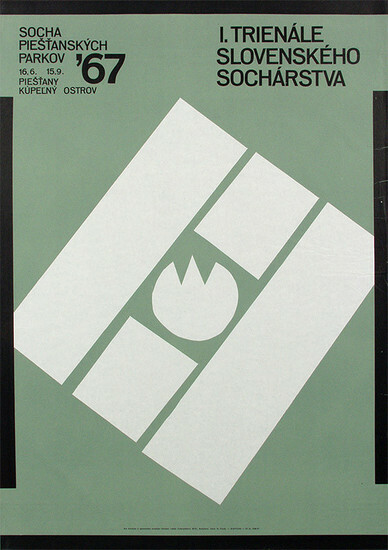 Later, a set of posters was transferred from the SNG Department of Graphic Art and the Pravda publishing house. The collection was continuously built in a similar way until the end of the 1960s. 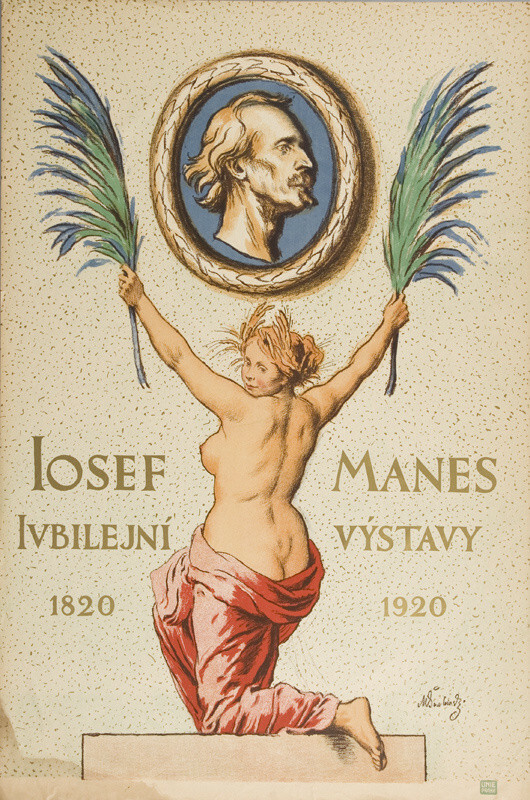 Thus the collection of posters of a qualitatively different level by Slovak and Czech artists dating back to the beginning of the century was constituted. 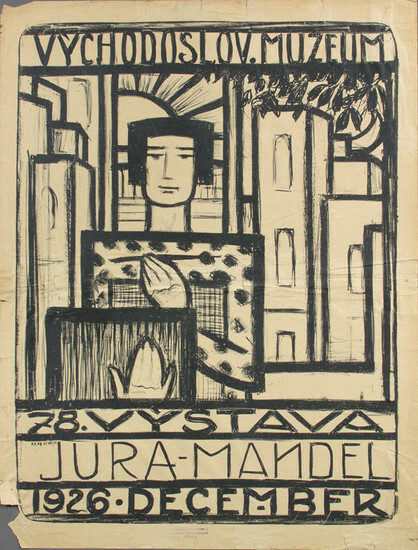 Czech artists such as Stanislav Kolíbal, Ladislav Sutnar, Jan Rajlich, František Bělohlávek, Stanislav Duda, Jiří Rathouský, Josef Flejšar, Milan Hegar, Alfons Mucha, Cyril Bouda, František Kysela, Václav Kaplický represent the best pieces. 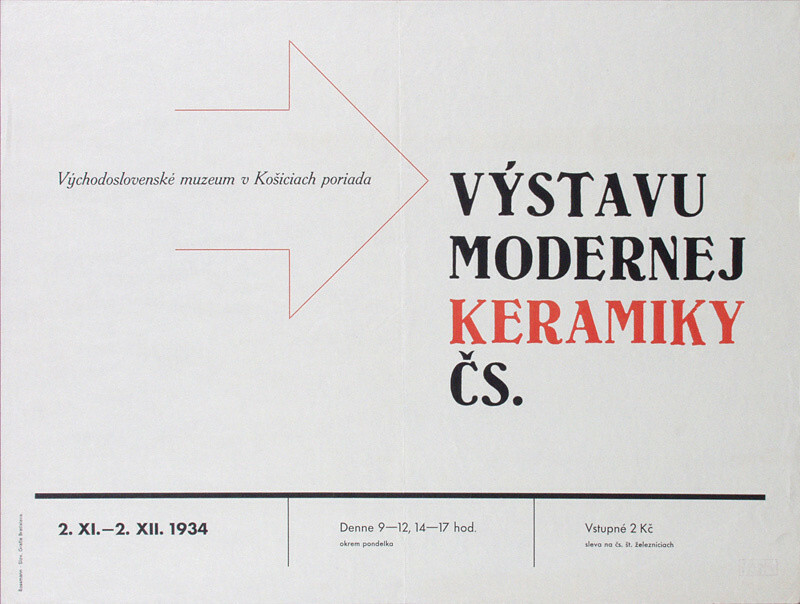 The unique posters published by the Eastern Slovakia Museum in Košice, which were frequently designed by prominent exhibiting artists such as Eugen Krón, Alexander Bortnyik, Ľudovít Fulla, Róbert Berény, Alžbeta Groszová, Martin Benka, František Reichentál and others, are represented in the collection from the interwar period. 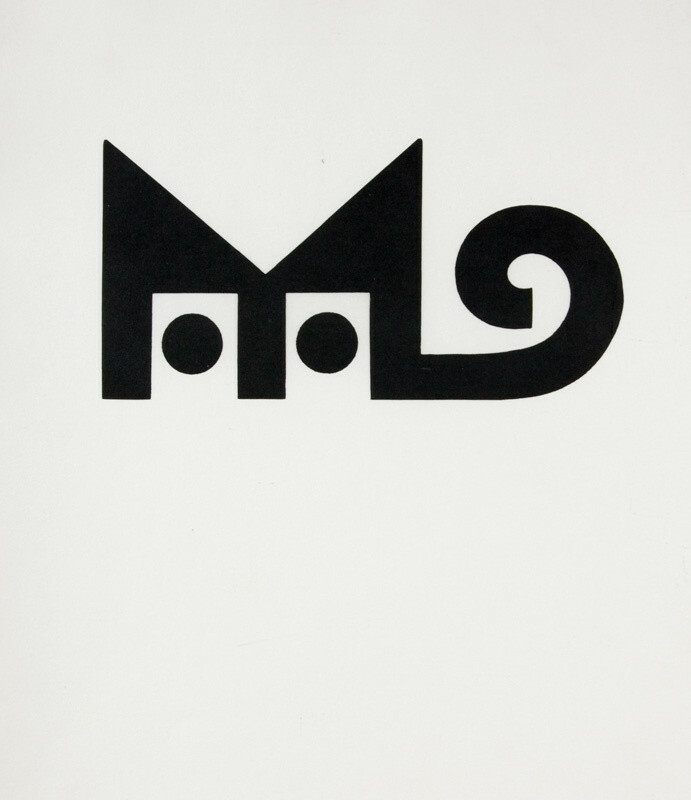 By the end of the 1960s, the selection method for building the collection was implemented when acquisitions from other fields of applied graphic art began to appear sporadically. However despite these efforts, the collection as a whole remains a collection of the posters of the 1960s. 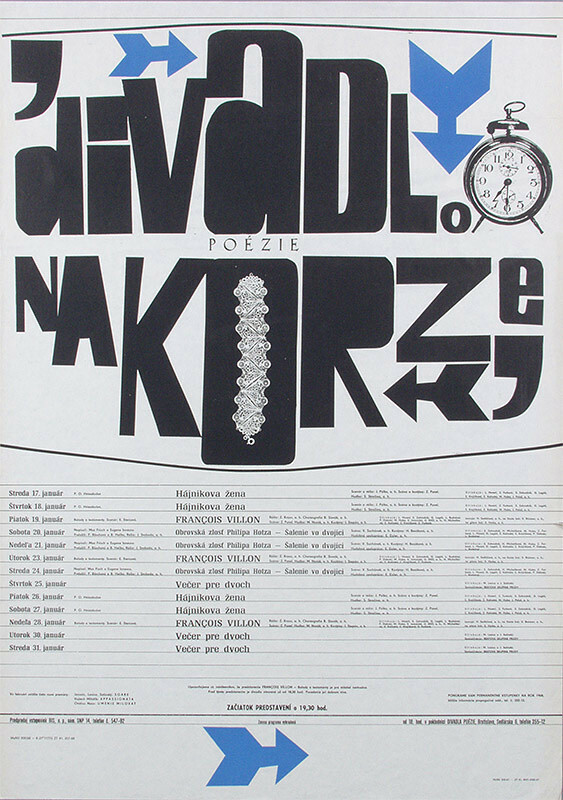 The 1960s are represented by the following artists who strove to continue the current world trends in typography by composing in the area of drawing and painting and through photography: Alojz Riškovič, Čestmír Pechr, Jozef Turzo, Andrej Barčík, Ivan Štěpán, Milan Veselý, Marian Čunderlík, Peter Mandzjuk, Ján Meisner, Rudolf Altrichter, Zoltán Salamon. 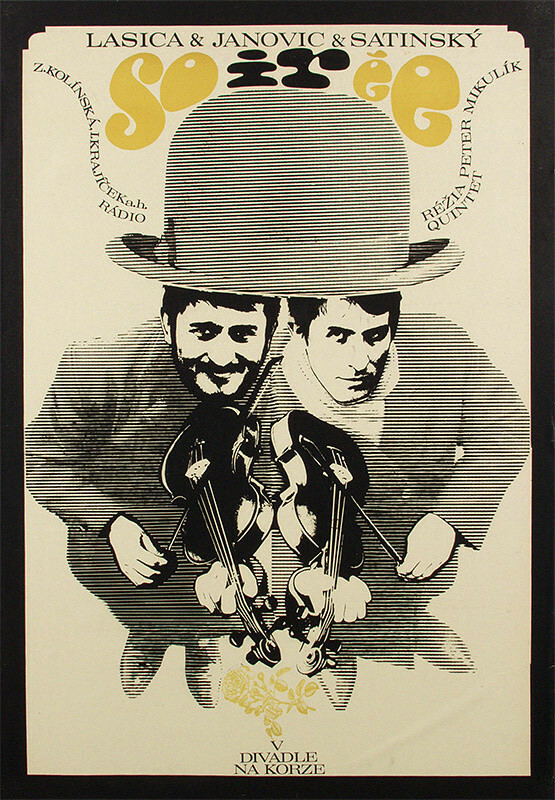 By the end of the 1970s, the generation of 1948, which affected the development of Slovak poster work by its distinctive typography, enters the scene. Artists such as Ľubomír Longauer, Vladislav Rostoka, Pavol Choma, Jozef Dóka junior, Svetozár Mydlo, Tomáš Berka and Dušan Junek are represented here. 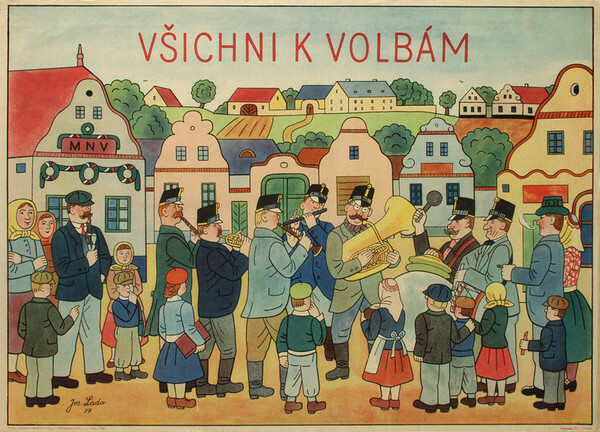 The relatively extensive collection of political posters is of varying quality. The collection was oriented on acquisitions of the following artists in the course of the 1970s and 1980s: Jozef Chovan, Oto Lupták, Štefan Bednár, Ľudovít Ilečko, Milan Spál, Štefan Štefka, Ladislav Čisárik. 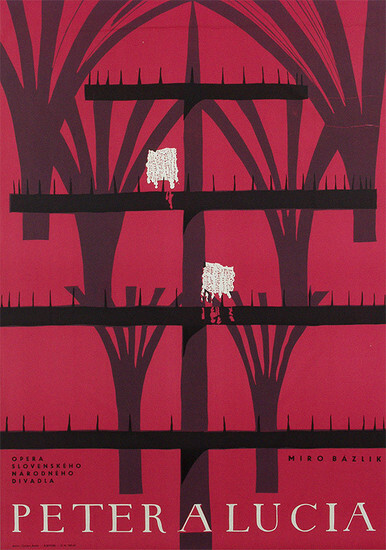 The collection of film posters of Milan Grygar, Zdenek Ziegler, Vladimír Bidlo, Josef Vyleťal, significant Czech designers of the 1960s, is also valuable. 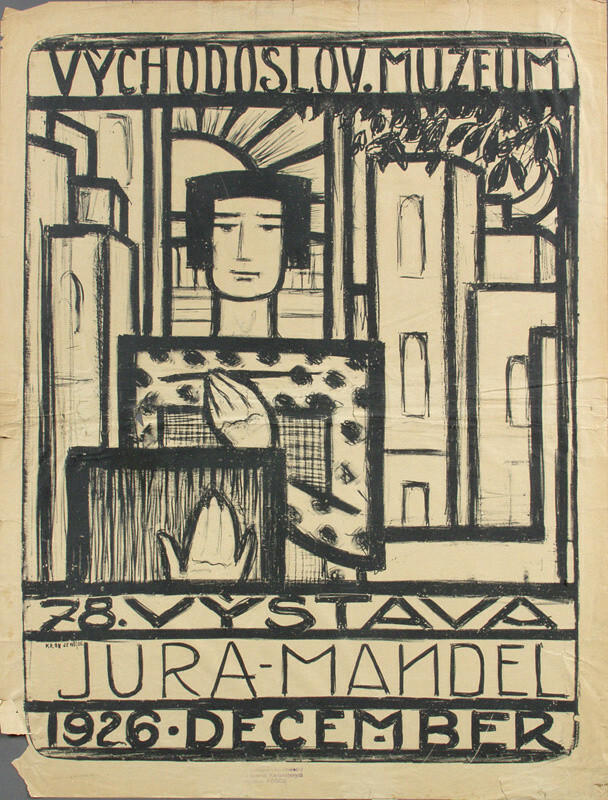 The cultural posters of Slovak anti-fascists such as Rudolf Altrichter, Ivan Štěpán, Milan Veselý, Miloš Urbásek, Emil Drličiak are also represented. 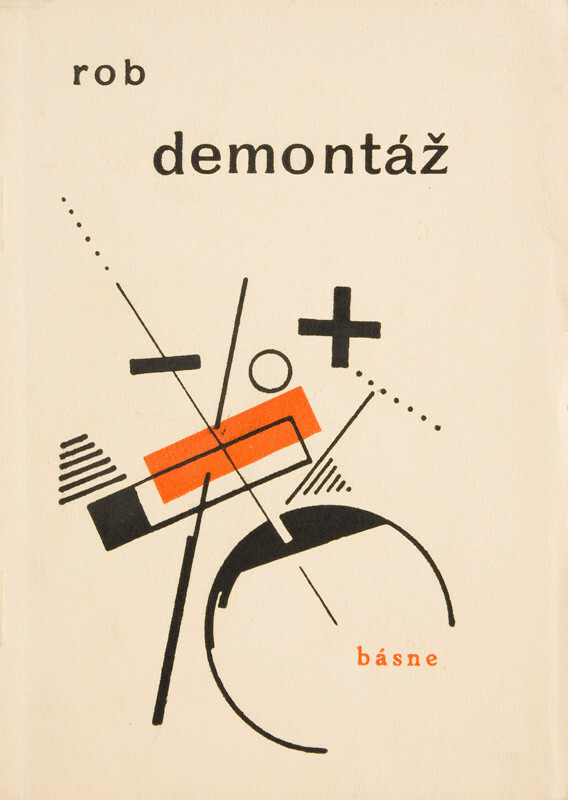 It also contains the collection of the trademark designs of Vladislav Rostoka, Dušan Junek and Miroslav Cipár, as well as a collection of graphic designs of catalogues and books by Jozef Cincík, Ladislav Csáder and Martin Benka. The cover of the book Demontáž / Dismantling (1929), created by Ľudovít Fulla, is another of the unique acquisitions from the interwar period. 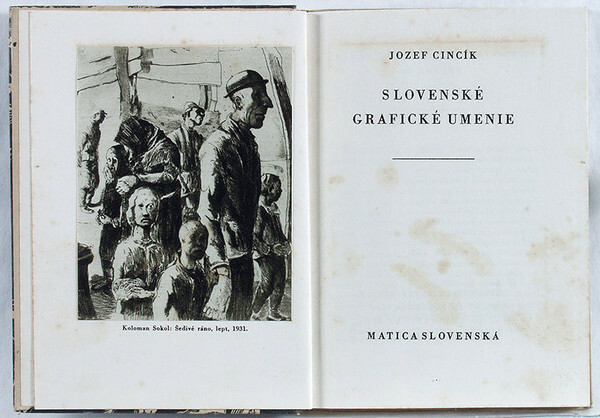 The collection also grew through extensive donations of Ivan Štěpán, Pavol Choma, Ľubomír Longauer, Vladislav Rostoka and Juraj Králik. 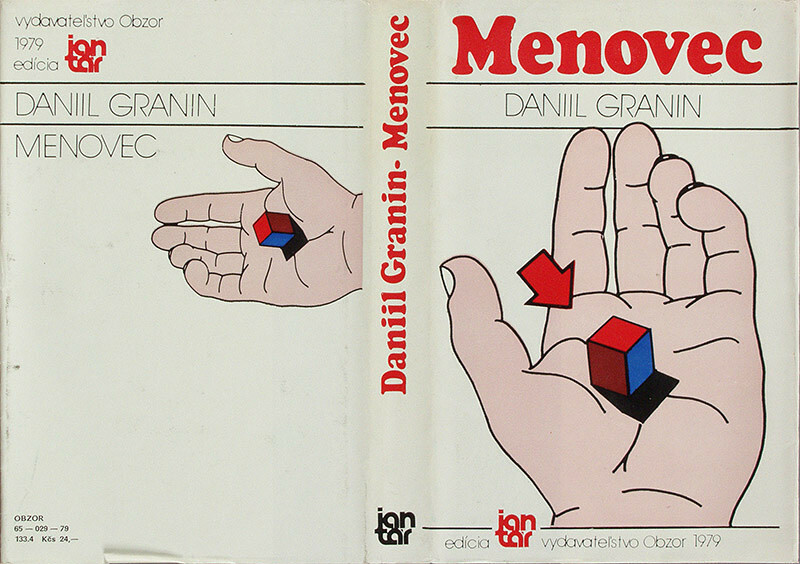 Finis Terrae. 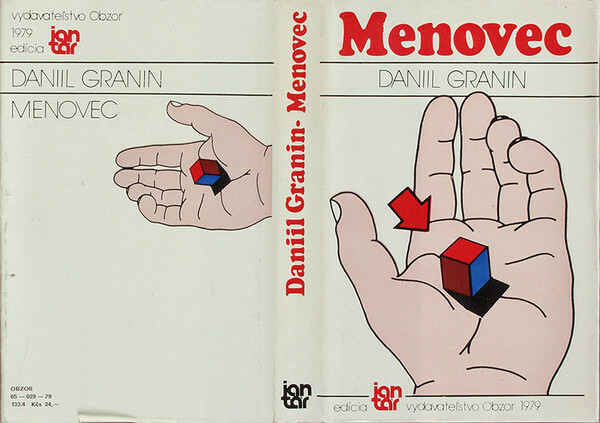 Plagát 90. rokov. 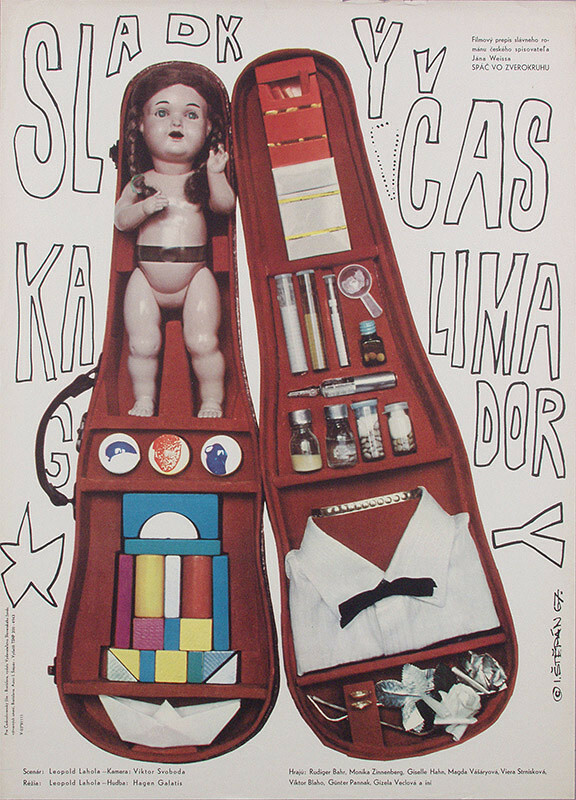 / Poster of the 1990s. Krásna kniha. 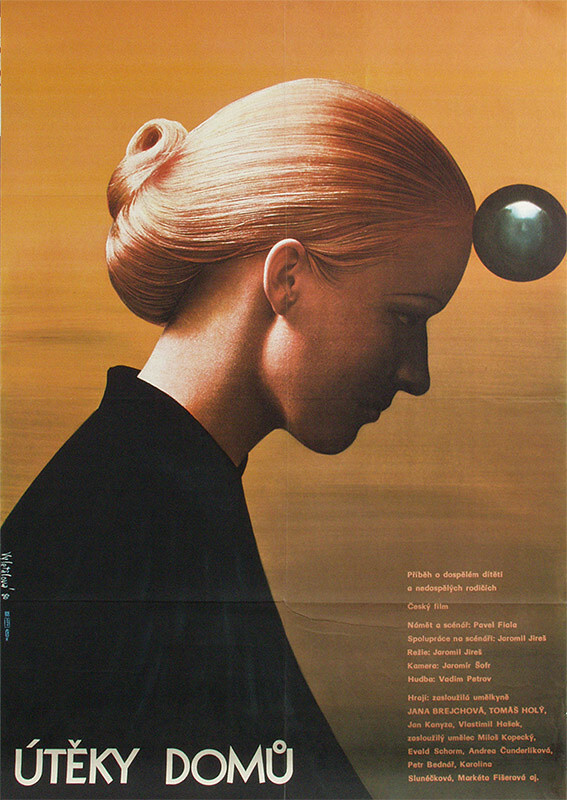 / Belles Lettres. 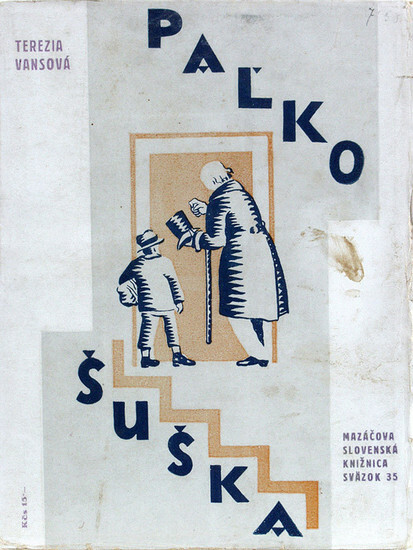 Curators: K. Bajcurová, A. Kusá, A. Hrabušický.